MISSOURI takes steps to ban mercury from vaccines… why won’t California or New York? State Representative Lynn Morris, hailing from Missouri, made waves earlier this year when she introduced a bill that would prohibit mercury and other metals from being used for any reason in vaccines administered in Missouri public health clinics. The bill, HB 331, would prevent adults and children from being injected with potentially harmful metals for any reason — even those metals used for “preservation” would not be permitted. Rep. Morris has also introduced a second bill, HB 332, which would reportedly curb the use of vaccines which contain foreign human DNA. This bill would require that chicken pox and shingles vaccines doled out by Missouri health clinics to be free of human DNA contaminates. Both bills are a response to public health concerns about what is really in vaccines, and whether or not they’re safe. These bills could be a great step in the right direction, if they are actually passed. The CDC’s recommended guidelines have long been the driving force behind state vaccination policies and mandates, but in a sense, these new bills ignore the federal agency’s opinion and authority — simply by recognizing that people should not be expected to believe a substance as toxic as mercury is safe in any form. While it is true that ethylmercury is more easily passed out of the body, research has indicated that does not mean it is less harmful. A 2014 study by a group of French researchers from the Institut Pasteur found that thimerosal exposure induced apoptosis (cell death) in T cells, depolarized the mitochondrial membrane and generated the production of reactive oxygen species. Notably, the researchers stated in their introduction that their research was prompted by a previous finding of in vitro toxicity related to a thimerosal-containing flu vaccine, Panenza. 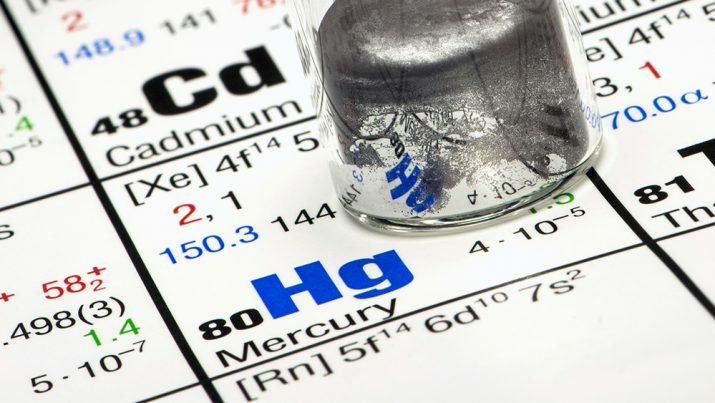 Going back even further, in 2005, research found that while methylmercury caused higher levels of total mercury in the brains of animal test subjects, exposure to thimerosal resulted in twice as much inorganic mercury deposited in the brain. Inorganic mercury remains in the brain for much, much longer than organic forms, and its health effects are not fully understood. The researchers noted other research had linked persistent exposure to inorganic mercury to increased activation of the microglia — which is a feature that has been seen in children with autism. Thimerosal is not the only concerning ingredient found in vaccines, though it is perhaps one of the most well-recognized. Aluminum is another metal often purposely put into vaccines, despite its neurological affects. Aluminium has been linked to a number of ill effects, and recent research indicates it likely causes Alzheimer’s disease.